Suzy Hartmann is a graduate of Saint Louis University, where she earned a BA in Chemistry; Southern Illinois University–Carbondale, where she earned an MS in Organic Chemistry; and the John Cook School of Business at Saint Louis University, where she earned an MBA with a focus on Management and Entrepreneurship. A self-proclaimed “practitioner of transformation,” Suzy spent over a decade in pharmaceutical R&D with Monsanto, Pharmacia, and Pfizer. 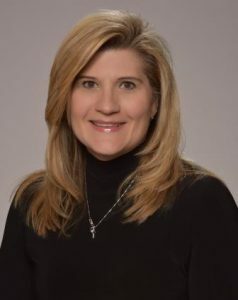 In 2011, after earning her MBA, Susan transitioned into higher education, and joined the John Cook School of Business at Saint Louis University, first as Associate Director, then as Assistant Dean of Graduate Business Programs. She is currently Associate Director of Biologics Sourcing at MilliporeSigma, where she leads a team responsible for the sourcing of raw materials for cell culture and enzyme production. A longtime member of the American Chemical Society, Suzy has served on the steering committee for the Leadership Development Forum since 2014. She was also an invited speaker of the Division of Small Chemical Businesses at the 2014 Midwest Regional Meeting. Suzy is an avid golfer and a science fiction enthusiast. She also actively participates in the St Louis biotech startup community as a member of the advisory board for MEDLaunch, the student-run startup incubator at Saint Louis University.